Provide comfort for the family of Ethel Bocan with a meaningful gesture of sympathy. Ethel Bocan of Jessup died Thursday November 29, 2018 at the Allied Hospice Center following a brief illness. Her husband of 69 years is John J. Bocan. Born in Jessup she was the daughter of the late John and Anna Filikovski Safko. Educated in Jessup schools, prior to retirement she was employed by Skottie Electronics for 25 years, and went on to work for the Silk Mill in Waverly. 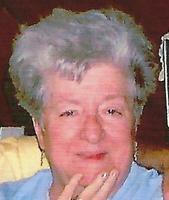 She was a faithful and devout member of St. Michael’s Church and would always participate in church events. Also surviving are sons Andrew Bocan, and David Bocan and wife Roseanne, all of Jessup; daughters Theresa Leach and husband Allen, Hamlin, and Beverly Cottrell, Scranton; grandson David Bocan Jr., Jessup; several nieces and nephews. She was preceded in death by sisters Anna Safko, Mary Thompson, Betty Kulick, and Margaret Sepinsky; brothers Andrew, Stephen, George, John, Joseph, and Nick Safko. The funeral will be conducted Monday at 9 am from the Arthur A. Albini Funeral Home, 1003 Church St., Jessup, with Mass of Christian Burial at 10:00 am in Queen of Angels Parish in St. Michael's Church, First Avenue, Jessup. Interment Holy Ghost Cemetery, Jessup. Friends and family may call Sunday from 2:00 to 4:00 pm. To send flowers in memory of Ethel Bocan, please visit our Heartfelt Sympathies Store.